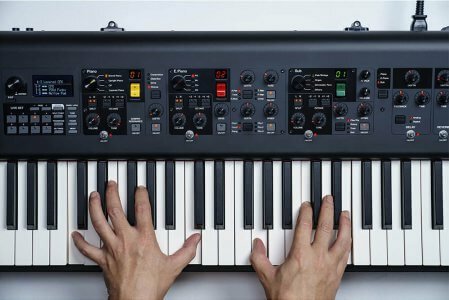 Yamaha has unleashed a pair of new digital pianos. Announced as part of NAMM 2019, the CP73 and CP88 stage pianos deliver authentic acoustic and electric piano sounds with a realistic touch performance and a perceptive one-to-one user interface. Aside from the number of keys and the keyboard action, both models are almost identical. Although, the CP88 does include synthetic ebony and ivory key tops, which are in place to improve your grip. An important part of any instrument you play is its sound. And, the CP73 and CP88 are full of top-quality tones. They both feature the Yamaha CFX, S700 and Bösendorfer Imperial 290. These are godsends to any player looking to achieve authenticity. The CFX provides sparkling highs and strong bass frequencies and features an incredible dynamic range. Such is the quality that includes the power to project over a full symphony orchestra. Then, the Bösendorfer produces a warm bass with singing trebles and vibrant tonal colours. While the S700 is a handcrafted piano that has the strength to cut through dense arrangements. More than that, they include the Yamaha upright piano which features a vintage, well-worn character, and the SU7 – Yamaha’s flagship acoustic upright piano. Furthermore, there’s a huge list of integrated effects and a master EQ. And the Virtual Circuitry Modeling recreates the behaviours of vintage effects and high-end studio processors. The feel of the pianos is second to none. 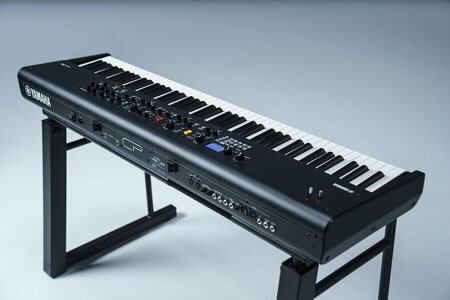 Both feature a keyboard action that’s designed with over 100-years of acoustic piano making experience and aims to give the players an action with maximum expression. Quick, balanced and responsive the CP88 features an 88-key natural wood, graded hammer triple sensor, and is the fastest playing stage piano on the market. 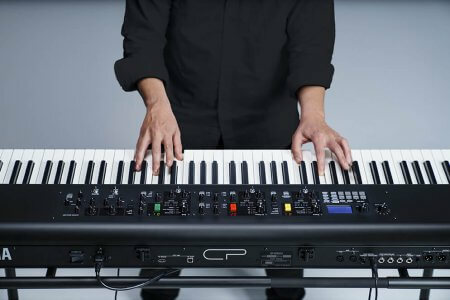 Whereas, the CP73 includes a 73-key balanced action with an authentic piano feel and is both compact and lightweight enough to travel anywhere with you. Both pianos are robust and intuitive enough to withstand the vigours of life on the road. And, the one-to-one interface gives the player direct and straightforward control of the sound. While the CP interface provides fast and easy splits, layers and sound-shaping from the front panel.